• Improve and softer throttle response when rolling the throttle on-off. • Remove the Jerky low speed running that is typical for modern lean burn engines. • Reduce Puffing in your aftermarket exhaust on engine braking. 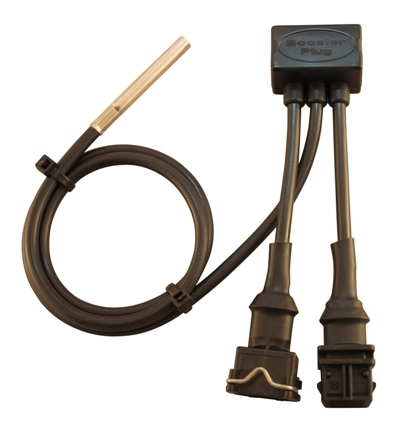 BoosterPlug is only available for most BMW motorcycles and and the Triumph Tiger 1050. Whats the difference between it Rapid Bike O2 unit? according to BoosterPlug.com , tweaking the O2 feedback signal is the wrong way to go, because you will have the enrichment where you dont need it- when you maintain a steady speed on the highway or any other open road-, but modifying the AIT sensor input is a lot smarter as you will have the enrichment when you need it, and still maintain the proper mileage while touring.